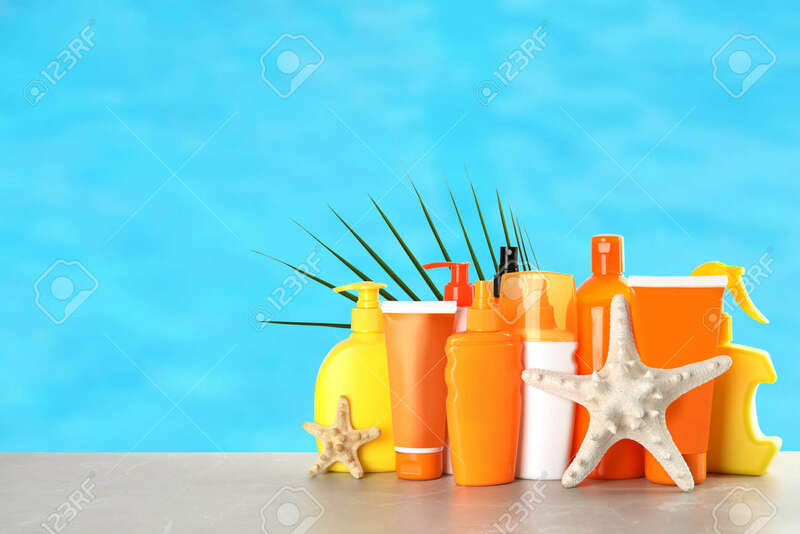 Set With Different Bottles Of Sun Protection Body Cream On Wooden Table Against Color Background. Space For Design Banque D'Images Et Photos Libres De Droits. Image 119158841.